According to Ian Begley of ESPN, the Denver Nuggets have shown interest in New York Knicks power forward Noah Vonleh. 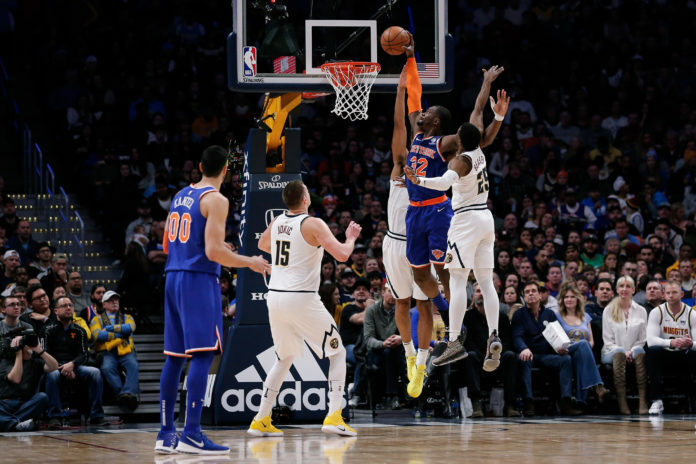 While this deal may seem inconsequential on the surface, there are multiple different angles that both the Nuggets and Knicks could be looking into. The Nuggets interest in Vonleh stems from a few different spots. 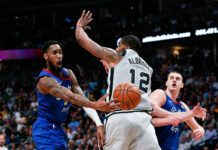 First off, the Nuggets are almost assuredly looking to acquire second-round picks in 2020 and 2021 considering that they do not own a second-round pick in either of those years. Inversely, the Knicks own the rights to the Charlotte Hornets’ 2020 and 2021 second-round picks as well the Mavericks 2021 second-round pick. Additionally, the Nuggets have two players who do not fit the timeline and who could be flipped for a second-round pick. 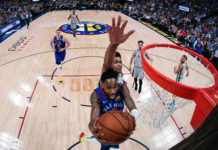 Trey Lyles, who has struggled for the majority of the 2018-19 season, is a player that the Nuggets will likely not be able to hold onto after the season ends. He will be a restricted free agent and it does not seem that he is in Denver’s long-term plans. Because of that, he fits the mold of the ideal trade candidate for Denver before the deadline arrives. Tyler Lydon also fits the bill. 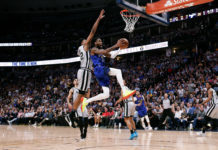 The Nuggets have already declined the third year of his rookie contract, but the sweet-shooting power forward may end up as a player that another team can take a flier on. His jump shot is pure and he has good size, but has not been given nearly enough playing time in Denver to grow. Of course, if the Nuggets trade Lyles, Lydon, or both, there will suddenly be a worry when it comes to depth. Paul Millsap has been in and out of the Nuggets lineup ever since being signed as a free agent in July of last year. That is why trading for Vonleh — who is on an expiring contract which means the Nuggets will not have to worry about mucking up their cap sheet heading into free agency — is a deal that does make quite a bit of sense. Vonleh can play in Millsap’s spot for the Nuggets if needed and Denver also has Jarred Vanderbilt to soak up minutes. Vonleh, who is still just 23 years old, is averaging 8.5 points, 8.6 rebounds, and 2.1 assists in 26.5 minutes per game, all of which are career-highs, with the Knicks this season while shooting 45.5 percent from the field and 35.3 percent from 3-point distance.